Risk management and risk control are commonly used terms nowadays, especially in the workplace and in legal proceedings. When one comes across these terms, various hazards and obstacles in public and private life are taken into consideration. Risky gadgets, risky routes, and even risk-prone people are avoided both at home and at work. Companies provide insurance for objects, property, and even people that may at one point in time be subject to risk. Disasters such as floods, fires, and acts of nature are mentioned in insurance policies. Anything pertaining to risk is regarded as aversive, and the terms “risk management” and “risk control” come into mind when minimizing or eliminating risk. Most people think that the two terms are interchangeable; however, there’s an important difference between the two terms, which is important when describing anti-risk measures. Between the two terms, risk management is more popular. A search on the web would yield millions of hits for risk management, while only a few hundred thousand pages mention risk control. The reason for this is that risk management is utilized in business and legal parameters. Industrial companies use the term “risk management” freely when it comes to the identification and analysis of problems that may arise out of a particular routine or project. For example, construction difficulties that may lead to structural inconsistencies can be categorized under risk management. Other examples include faulty or outdated conveyor belts that don’t process products efficiently or dim light bulbs that may decrease output due to low workplace visibility. Risk control, on the other hand, is more commonly used in the workplace. During company meetings, the term “risk control” is used freely when campaigning against slippery surfaces, octopus electrical connections, non-protected network computers, and other equipment that may pose a hazard. Risk control may also involve the removal or replacement of company policies that may put an employee in harm’s way. The difference between the two terms may seem trivial, but when used in legal documents, it becomes significant. Risk management is the heavier term, not because it is used often, but because it takes into account the possibility of any disaster occurring and puts forth advanced measures against that particular disaster. Risk control, on the other hand, is focused primarily on prevention, since workplace hazards can be removed easily once they’re identified; however, when it comes to the industrial level, there are so many risk factors that it seems inevitable that at one point in time, a disaster is bound to happen. Now that the difference between the two terms is clear, remember to use each term in its proper context. When dealing with products on the assembly line or anything pertaining to the industrial scene, the term “risk management” should be utilized. However, when it comes to identifying and eliminating hazards in the workplace, the lighter term “risk control” should be used. At first glance, the terms “risk control” and “risk management” may seem interchangeable; they both aim to minimize or eliminate risk. Risk management has a greater scope and is apt for the industrial context, while risk control is used mainly to identify and remove hazards in the workplace. Risk management has safeguards against disaster because it accepts that at one point or another, one risk factor might push through. On the other hand, risk control assumes that risk can be eliminated completely by removing workplace hazards. Both terms should be used in proper context. When used in legal documents, only one term can be used. Celine. "Difference Between Management and Control." DifferenceBetween.net. July 8, 2017 < http://www.differencebetween.net/editor-pick/difference-between-management-and-control/ >. I think that, at times, you have used the term Risk Control incorrectly. Risk control is a subset of risk management. 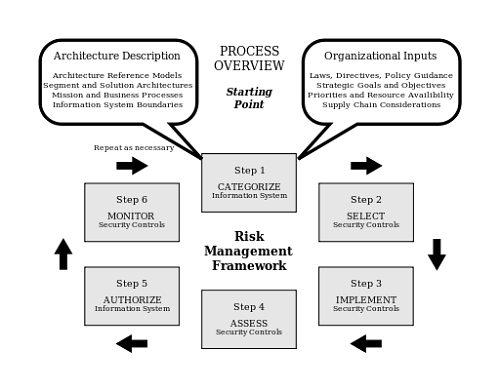 Risk Management is the entire set of activities that relate to risk, including identifying risks, and their analysis, evaluation and treatment/control. It includes all stages of planning, implementation and review. In a safety context, a commitment to risk management is not necessarily a commitment to making a workplace safe. It is only a commitment to assess hazards, it is not necessarily a commitment to do anything about them. 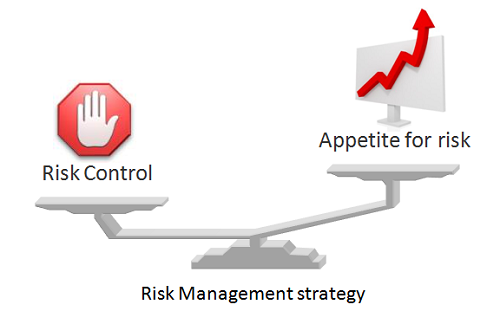 Risk Control is only the ‘implementing’ part of Risk Management, the process of eliminating or minimizing risks. It does not take into account additional hazards or risks outside of its original scope. In a safety context, a commitment to risk control is a commitment to actually doing something about hazards. Effective risk management and risk control both involve contingency planning. -Risk management takes the broader view: If this specific control fails, what other controls can be put in place to control this risk, what other risks may be generated, and how do we address these? -Risk control takes a narrower view: If this specific control fails, what other controls can be put in place to control this risk? This article should be called Difference between ***Risk*** Management and ***Risk*** Control. Risk management involves competency to assess, evaluate after due consideration of all aspects of known and also unknown risk and also intuitive response for unexpected issues coming up before further proceeding. Intuitive decision making is most essential in Risk management more importantly risk control and alternate pathways to implement work plan and making desired outcomes. There lies the proficiency to convert risk into an opportunity and thus produce not defective product. Manage revenue generation from the product.